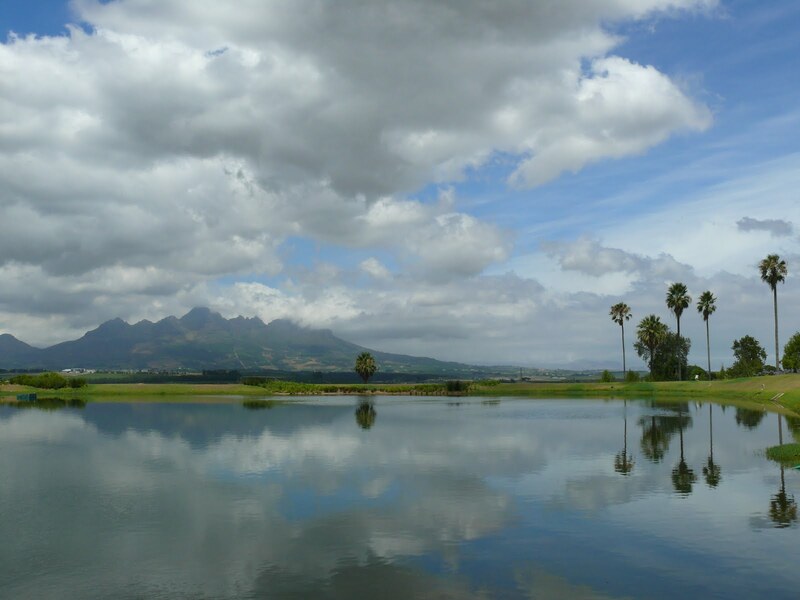 Sitting on the patio of the Bistro and Tapas Bar at the Asara Wine Estate has this amazing view ..
… I have featured it on Skywatch before but it’s just so beautiful, just had to do it again!!! Last week, on our trip to Cape Town, hubby and I met up with family for tapas on the patio. 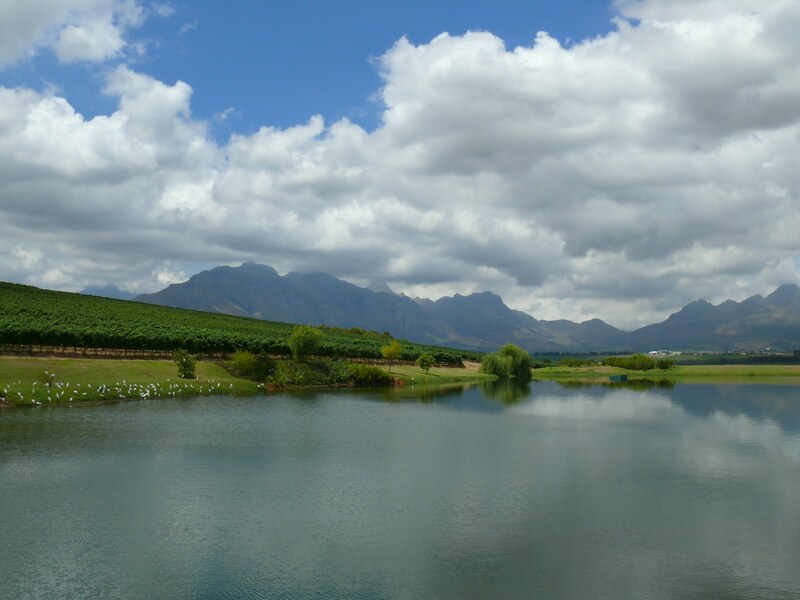 We were not there long before the wind came up and clouds covered the Stellenbosch Mountains …. notice where the group of white birds moved to .. they were on the bank (above) and then moved to the sheltered bank (you can just see them to the left of the photo below). Beautiful! Reminds me of how much I need a trip to the Cape again! What a lovely place! I love the reflections in your photo's, truly beautiful. Absolutely gorgeous! 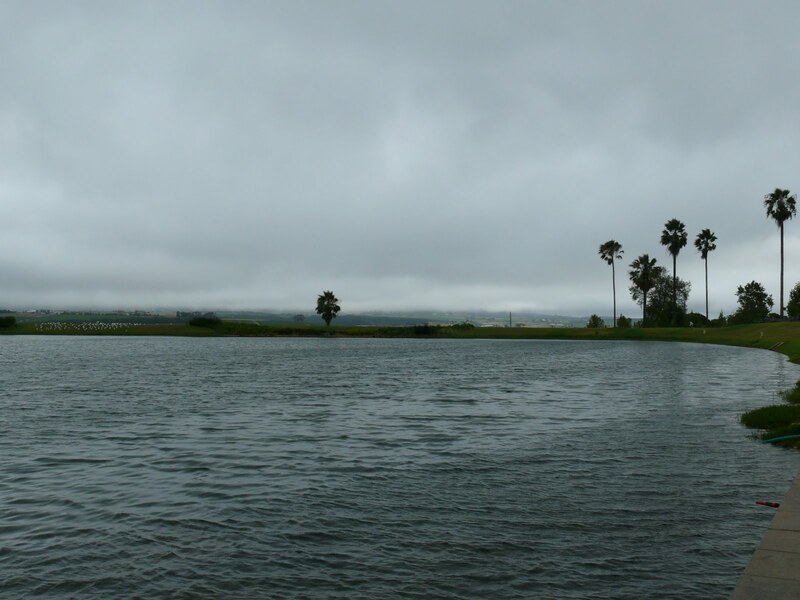 And you can see how the wind picked up by looking at the water. Wonderful series of photos. Happy Friday and happy weekend!